At the heart of North Melbourne, on the corners of Queensberry and Errol Streets, is a local cultural hub known as the Arts House. Operating from the iconic North Melbourne Town Hall (NMTH) and heritage-listed Meat Market, Arts House provides creative spaces for the community and local artists. The buildings, steeped in history, exemplify the growth and development of the City of Melbourne. In 1876, the town of Hotham (as North Melbourne was formally known), opened the doors of the current town hall. Architect George Johnson designed the building and went on to construct six addition-al town halls in Collingwood, Fitzroy, Northcote, Maryborough, Daylesford and Kilmore. He was commissioned again to design the Meat Market in 1880, completing the traders' centre in Hotham. Interestingly, all but one of Johnson's town halls, as well as his meat market, now operate as theatres; a fitting tribute to the architect who was known for his love of performance and the arts. Over the years that followed the NMTH had been used to house community services programs and personnel, including a community arts centre in the rear warehouse, but was largely left moribund and vacant. It wasn't until 1996, after decades of neglect, that the building was considered for development and repair. The council, with an arts project in mind, had extensive consultation with Melbourne's artistic community regarding the lack of a local arts presence. The discussions confirmed that artists were finding it increasingly hard to secure places to work in the city, particularly where new work could be shown, and that centres with arts activities tend to enhance their surrounding neighbourhoods. 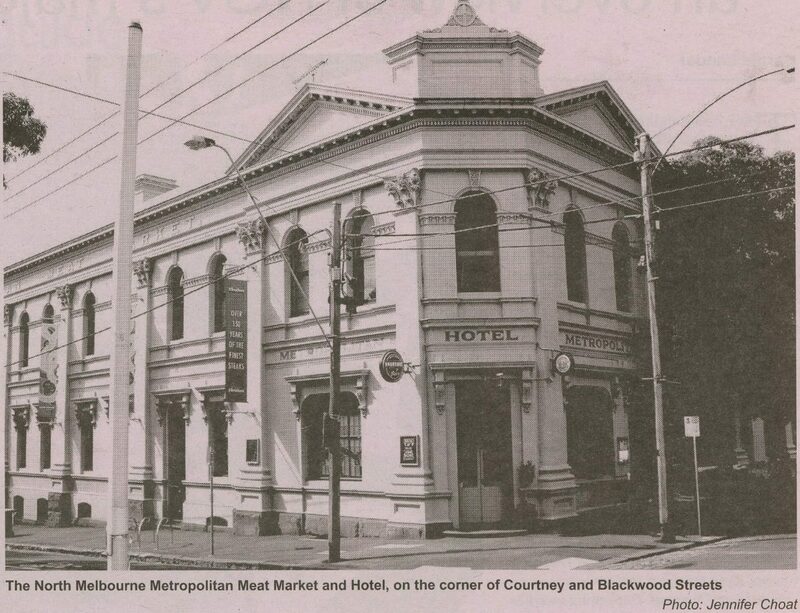 From this research came the decision to re-furbish the old NMTH with the vision of creating a North Melbourne arts precinct. It took several years and $3.4 million to completely refurbish the facilities and create a venue well-equipped with flexible performance spaces for community use, along with multiple rooms to house arts organisations. By May 1998, the NMTH officially re-opened as a dedicated cultural facility under the title of Arts House. Also at this time, Team Leader Sue Beal was appointed to her position and remembers the early challenges with the venue. "The community and the artists voiced their concerns to the council as the artists in residence couldn't afford to keep up with the rent," Beal explains, "so they asked for government funding, not just for the use of the space, but also to give them a bit of money to contribute to their work." This was the beginning of their creative development grants, such as the CultureLAB program designed to assist artists in producing their work onsite. "We seek cutting edge, experimental, risk-taking art," Creative Producer Angharad Wynne-Jones describes. To achieve this, a team of producers actively source new works. "We're always out on the sniff for talented, fabulous artists both here and interstate and indeed internationally," says Wynne-Jones. As the talent gathered, so too did the need for more creative space. In 2005 the management of the Meat Market was taken over by Arts House, providing the establishment with a fresh venue for creatives to develop their performance work. A seemingly usual site for performance art, the Meat Market once hosted its own form of theatre by way of daily market life. In a 1982 interview, courtesy of Arts House, one director recalled "the crescendo of sound inside the building. The rattle and clatter of the lorries on the cobbled floor, the cries of the lumpers calling the weights to the booking clerks, the bargaining between salesmen and customers and not infrequently a violent argument ending in a fight." Until 1874 meat wholesaling in the area took place at the City Meat Market, now the Queen Victoria Market. Rent prices and questionable conditions drove the meat traders to form their own market place on the corner of Courtney and Blackwood Streets, operating from this site until the 1970s. The State rescued the building from demolition with a last-minute heritage listing, allowing it to have a second life, and becoming the North Melbourne Craft Centre until the late 1990s. From the 1990s, The Meat Market took several years of conservation planning and heritage-approved renovations. Of particular value during this time, was the design of a moveable 'floating stage', allowing for a smooth performance surface to be laid over the old blue cobblestone floor that paved the market area. The last decade has seen major developments in the Arts House proactive support programs and suite of facilities. Aside from the two annual seasons of curated installations and performances, festivals now play a major role in the company's creative repertoire, Dance Massive, Next Wave and the Melbourne Fringe Festival are but a few of such collaborations. This month the Festival of Live Art (FOLA) will be taking centre stage, projecting performative experiences in unexpected forms. "Go with the idea that you're having an adventure," Wynne-Jones remarks, "and expect something playful." Between the two buildings there are approximately 40 tenants, some organisations others collectives or individual visual artists, writers and musicians, all utilizing the office spaces and faculties for their respective projects. One of the greatest successes of Arts House is that it has become a thriving social centre, bringing together artists and audiences, in a place where ideas can be exchanged and magic can happen. by Jennifer Choat, March 2014.